January 3, 1968 - A group of dissatisfied air traffic controllers in the New York area formed The Professional Air Traffic Controllers Organization (PATCO). By June 1968 PATCO had a national membership of over 5,000 FAA employees. February 21, 1968 - A successful hijacking of a DC-8 took place from Tampa, Florida to Havana, Cuba. the hijacker surrendered in Spain and was committed to a mental institution. March 12, 1968 - Three Cubans successfully hijacked a DC-8 from Tampa FL to Havana, Cuba. April 17, 1968 - Bonanza Air Lines and West Coast Airlines merged with Pacific Air Lines to form Air West, which was renamed Hughes Air West in July 1970, following its acquisition by Howard Hughes. The accident was caused by the captain's decision to penetrate an area of heavy weather followed by a structural over-stress and failure of the airframe while attempting recovery from loss of control during a steep 180 degree turn executed in an attempt to escape the weather. The turn became extremely steep, with a bank of over 90 degrees and a nose pitch down of 50 degrees. As they were trying to recover from the turn, the Flight Data Recorder indicated a peak acceleration of 4.3Gs, which the NTSB concluded caused a structural overstress and in-flight breakup. July 1, 1968 - A Cuban successfully hijacked a B-727 from Chicago, IL to Havana, Cuba. July 17, 1968 - Another Cuban successfully hijacked a DC-8 from Los Angeles, CA to Havana, Cuba. The Federal Air Marshal Service promotes confidence in civil aviation by deploying Air Marshals to detect, deter, and defeat hostile acts against the United States. 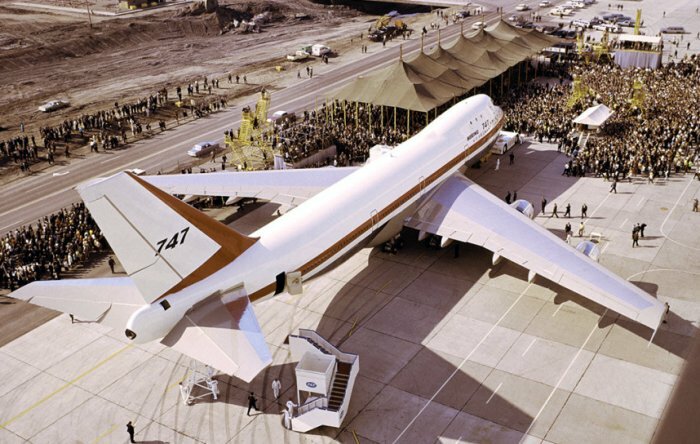 September, 1968 - The First Boeing-747 (490 passengers) rolled out of the Everett, Washington assembly building, and the first flight of the B-747 (the world's largest commercial jetliner) took place on February 9, 1969. The B-747 is also known as: "Jumbo Jet", or "Queen of the Skies." 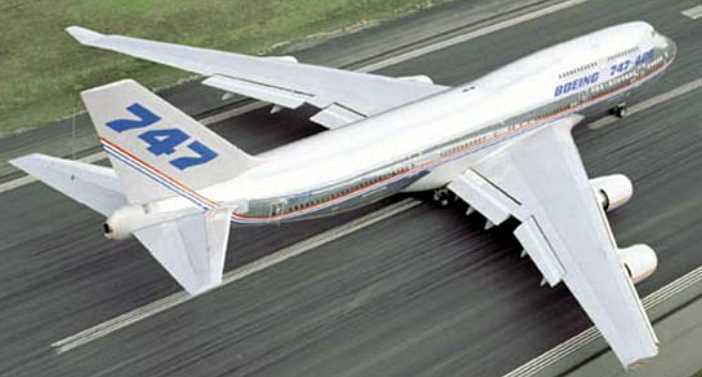 The original version of the B-747 was two and a half times the size of the B-707, and had a double deck configuration. The 'hump-like' upper deck served as a first class lounge, or extra seating. The B-747-8 has an intercontinental range of over 8,000 miles and a high-subsonic cruise speed of Mach 0.85 (up to 570 mph), and depending on seating configuration, can carry over 660 passengers. By December 2011 over 1,500 B-747s were built. The B-747SP is 48 feet shorter than the B-747-100 and entered service by Pan Am on February 4, 1976. The SP stands for "Special Performance" and was used by airlines for ultra-long-range flights, to serve major airports with shorter runways. 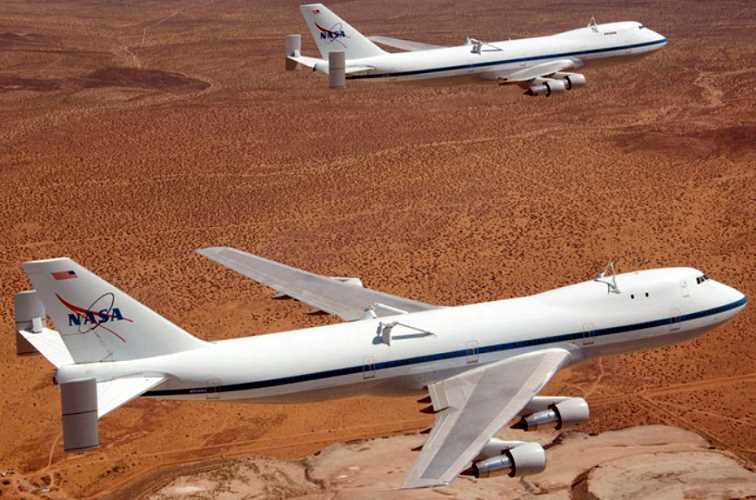 A total of 45 B-747SPs were built. In 1976 the B-747SP set a new round-the-world record (over 23.137 miles) in 46 hours and 26 minutes with 2 stops (India and Japan). The "Air Force One" callsign is the official air traffic control call sign for any Air Force aircraft carrying the President of the United States. The "Air Force One" callsign was created after a 1953 incident when a flight carrying President Eisenhower entered the same airspace as a commercial airline flight using the same call sign. The presidential version of the B-747 (Military designation: VC-15) was designed during the presidency of Ronald Reagan. (The interior design was drawn up by Nancy Reagan). On January 15, 1970, First Lady of the United States Pat Nixon christened Pan Am's first B-747 at Dulles Airport. The first two B-747s were delivered in 1990, during the administration of George H. W. Bush. 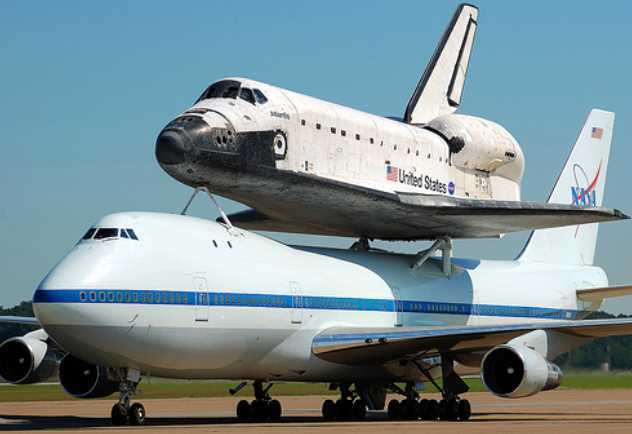 The SCA's were used to ferry Space Shuttles from landing sites back to the Shuttle Landing Facility at the Kennedy Space Center in Florida. Flying with the additional drag and weight the range was reduced to 1,000 nautical miles and required stops several times to refuel on a transcontinental flight. "The wonder of air travel, from the cockpit of a B-747." The NTSB reported that the plane was flying 600' below its required altitude and that the pilots misjudged their altitude position during approach and there were no navigational aids in the aircraft or near the airport. This was the fifth airline crash in the 25-year history of Northeast Airlines. 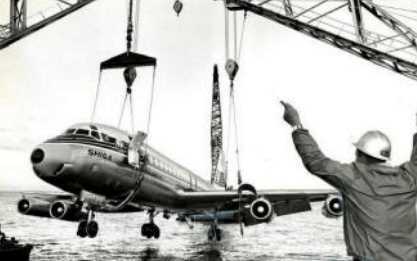 They had lost four planes and 38 passengers and crew. In the 1970s Northeast merged with Delta Airlines. November 4, 1968 - Another successful hijack of a B-727 from New Orleans, LA to Havana, Cuba. 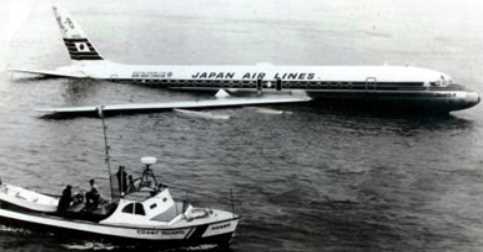 November 22, 1968 - A Japan Airlines DC-8, in heavy fog and other factors crash landed the jet in the waters of San Francisco Bay, 2 1/2 miles short of the runway. The water was shallow (about 9 feet deep), and once the landing gear settled into the mud of the bay, all passengers were safely evacuated. None of the 96 passengers and 11 crew were killed or injured, and the DC-8 jet was recovered and transported on a barge to San Francisco International Airport, where United Airlines refurbished the aircraft for service and returned it to JAL in 1969, along with a $4 million repair bill. November 23, 1968 - Five Cubans successfully hijacked a B-727 from Chicago, IL to Havana, Cuba. November 24, 1968 - Three Latinos successfully hijacked a Pan Am B-707 from JFK to Havana, Cuba. Passengers were evacuated from Cuba by a U.S. State Department aircraft. November 30, 1968 - A Cuban successfully hijacked a B-720 from Miami to Havana, Cuba. December 5, 1968 - A Latino successfully hijacked a B-727 from Tampa, FL to Havana, Cuba. December 24, 1968 - Bradford, Pennsylvania - An Allegheny Airlines Convair CV-580 from Detroit to Washington D.C. with stops in Erie, Bradford and Harrisburg, PA, crashed while attempting to land in a snowstorm. 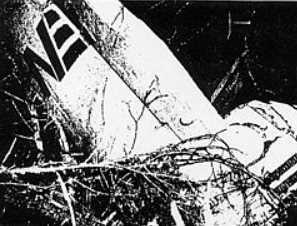 On an instrument approach the CV-580 struck a tree 2.5 miles from the end of the runway and rolled to an inverted position before striking the ground. A North Central Airlines Convair CV-580 crashed into a hangar while attempting a go-around off an instrument approach. The flight originated in Minneapolis, with 4 intermediate stops on the way to Chicago O'Hare. Delays were caused by weather, with ORD having a 200 foot ceiling and light rain, fog and variable runway visibility. The pilots made a normal approach, when at 200 feet, the CV-580 began a sustained climb and the captain initiated a go-around procedure. However, the aircraft, instead, continued to climb. Witnesses reported that the engines were running at a high throttle setting and that the aircraft rolled left and right two or three times and lost speed until it stalled. The aircraft entered a steep left bank and its left wing struck the ground near a hangar about 1,600 feet left of the runway. The CV-580, now nearly inverted, struck the main door of the hangar with its left wing and crashed into the hangar bay. The NTSB concluded that the crash was blamed on 'Spatial Disorientation' of the captain, precipitated by atmospheric refraction of either the approach lights or landing lights at a critical point in the approach, when the crew was transitioning between flying IFR to visual reference to the ground. December 30, 1968 - Jacksonville Center is the site of the first operational field model of the NAS En Route Stage-A subsystem, on a part-time basis. 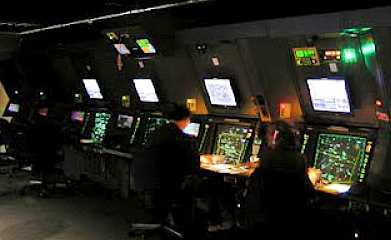 Also in 1968, at Indianapolis ARTCC and later at New York ARTCC, the system was reconfigured as ARTS-I, and the FAA contracted with Univac for production of the data acquisition, data processing and data-entry display functions of a larger versions for the nation's busiest terminal control facilities, ARTS-III. 1969, the biggest year ever for hijacking in the United State. 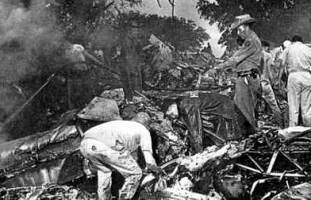 Over 80 hijackings occurred and except for two incidents late in the year, all the hijackers wanted to go to Havana, Cuba. The hijackings to Cuba were largely routine, and airliners carried approach plates for the Havana airport; crews were instructed not to resist hijackers. There were also standard diplomatic procedures for obtaining the return of planes and passengers. January 2 1969 - Two people successfully hijacked a DC-8 from New York to Havana, Cuba. 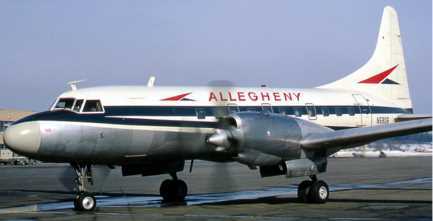 January 6, 1969 - Another Allegheny Airlines Convair CV-580 crashed near Bradford Airport, PA. (See December 24, 1968) The pilot requested to make its instrument approach to Runway 14 instead of Runway 32. The Bradford FSS Specialist obtained approval for this change from Erie Approach Control, and the flight reported completing the procedure turn inbound. The CV-580 then clipped treetops 4.7 miles short of the airport and cut a swath through trees bordering a fairway of the Pine Acres Golf Course, and came to rest inverted. 1. Misreading of the altimeter by the captain. 2. A malfunction of the captain's altimeter after completion of the approach procedure turn. 3. A misreading of the instrument approach chart. January 9, 1969 - A Purdue University student successfully hijacked a B-727 from Miami, FL to Havana, Cuba. He returns via Canada in November and is sentenced to 20 years for air piracy. January 11, 1969 - A man successfully hijacks a B-727 from Jacksonville, FL to Havana, Cuba, returned via Canada and is acquitted on grounds of temporary insanity. January 17, 1969 - A Latino from Dominican Republic successfully hijacked a DC-8 from New York to Cuba. 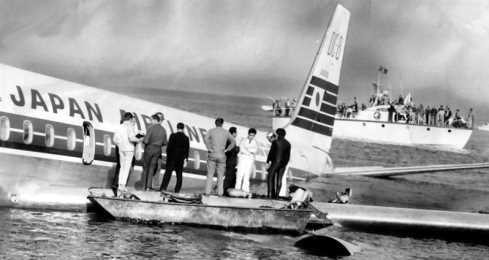 January 18, 1969 - Los Angeles, CA - A United Airlines B-727, from Los Angeles to Milwaukee with a stop in Denver, crashed into Santa Monica Bay shortly after takeoff at night in poor weather. 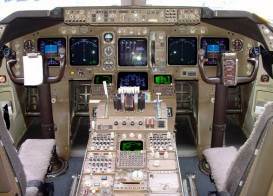 The #3 electrical generator was listed as inoperative before the flight commenced. After takeoff, the flight crew received an engine fire warning on the #1 engine, which was shut down. The #2 electrical generator (the only one left functioning) was unable to handle the excess load due to the failure of the jet's other two generators, and shut down, leading to a loss of all electrical power aboard the jet. The FAA, to prevent a similar occurrence, required all air transport category aircraft to install new battery-powered backup source for critical flight instruments, and powered by a source independent of generators. In 1956, Volpe was appointed by President Dwight D. Eisenhower as the first administrator of the Federal Highway Administration. B-727 from Key West, FL to Havana, Cuba. January 28, 1969 - Two prison escapees successfully hijacked a DC-8 from Los Angeles, CA to Cuba. January 28, 1969 - Three men successfully hijacked a DC-8 from Atlanta, GA to Havana, Cuba. January 31, 1969 - A man from San Francisco said he was 'tired of TV dinners and tired of seeing people starve in the world' and successfully hijacked a DC-8 to Havana, Cuba. February 3, 1969 - two Cubans successfully hijacked a B-727 from Newark, NJ to Havana, Cuba. Three more successful hijackings of commercial aircraft occurred in February, 1969. March 24, 1969 - President Richard Nixon names former TRW Inc. VP, and retired Air Force Lt. Col. John Hixon Shaffer as the fourth FAA Administrator, succeeding William F. McKee. Shaffer's principal concern was the reduction of midair collision risks around crowded metropolitan airports. He attended the U.S. Military Academy, the Air Force Institute of Technology and Columbia University. Two successful hijackings of commercial aircraft occurred in March, 1969. April 13, 1969 - Four Cubans successfully hijacked a B727 from San Juan, Puerto Rico to Cuba. 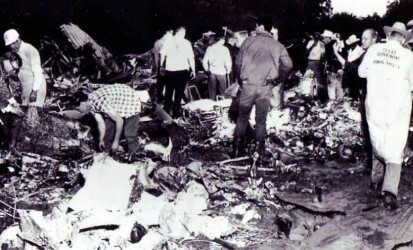 May, 1969 - Two successful hijackings occurred in May; B-727 from New York and B727 from Miami to Cuba. June 1, 1969 - The Common IFR Room at JFK, serving the New York terminal area on a broadband, manual radar basis changed to a computerized digital alphanumeric system, ARTS I-A, which flashed an aircraft's altitude, heading, and position directly on the radar scope. The Common IFR Room at JFK International Airport consolidated control facilities at JFK, Newark, and La Guardia airports. Controllers working different control areas were now able to shift boundaries and buffers almost instantaneously. Older controllers often refer to the "Common I", which is now called N90 ("En Ninety") or New York TRACON. June, 1969 - Four successful hijackings occurred in June: B-707 from Oakland, CA; DC-8 from Newark, NJ; DC-8 from Los Angeles; and B-727 from Baltimore -- all to Havana, Cuba. - PATCO's Western Coordinator, Russ Sommer, notified PATCO delegates of upcoming FAA testimony before Congress on a PATCO-supported controller career bill. "If testimony is not favorable," Sommer wrote, "D-Day June 18th!" June 17, 1969 - FAA Administrator John Shaffer opposed the bill. 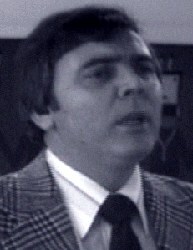 He characterized controllers as "well-paid" considering their educational level. Also on June 17, 1969 - PATCO counsel F. Lee Bailey appeared on the NBC "Tonight Show" and told host Johnny Carson, "I'd start walking if I were you." June 18-20, 1969 - Several FAA facilities were affected by a work stoppage by PATCO, when controllers claimed illness and did not report for work. The 'sickout' which resulted in nationwide flight delays, occurred with Congressional hearings on legislation to provide higher pay, early retirement, and other benefits for controllers. 80 of the 477 controllers, who took sick leave during the job action, were suspended from three to fifteen days. July, 1969 - Two successful hijackings occurred in July: a DC-8 from El Paso, TX; and a B-727 from Pittsburgh. - July 27, 1969 - The FAA ended its dues-withholding agreement with PATCO because it was not in the public interest to assist an organization taking part in an illegal job action. August, 1969 - Two successful hijackings occurred in August: a B-727 from Boston, and a B-727 from Miami to Havana, Cuba. 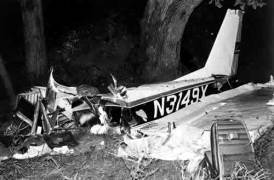 August 31, 1969 - Newton, IA - Boxer, Rocky Marciano 45, was killed when an inexperienced pilot without an instrument rating, flying a Cessna-172, took off in rainy weather and crashed. Marciano was returning home for his birthday party. (3 killed). 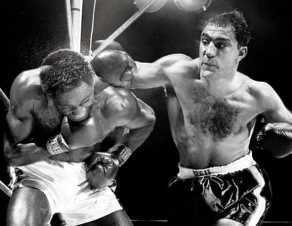 The Superfight: A fictional boxing match between Rocky Marciano and Mohammad Ali. At the time, Ali and Marciano were the only undefeated heavyweight champions in history. They were filmed acting out every possible scenario in a fight and the result was determined using probability formulas entered into a computer. Punch-by-punch details of the boxer's records during their prime were entered into a computer. Also their strengths, weaknesses, fighting styles and patterns and other factors were converted into formulas. In 1969, an imaginary fight took place to determine the all-time great heavyweight champion of the world. The two fighters sparred for about 70 rounds, which were later spliced together according to the findings of the computer. Marciano died in a plane crash 3 weeks after the film was completed. It was shown only once in 1,500 theaters and on closed-circuit TV. It grossed $5 million. 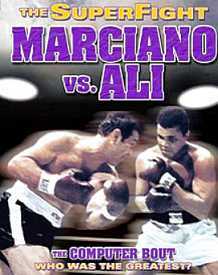 The computer determined that Marciano would knock Ali out in the 13th round and the film was edited to present that outcome. September 9, 1969 - Fairland, Indiana - A Mid-Air collision between an Allegheny DC-9, from Boston to St. Louis with stops in Baltimore, Cincinnati and Indianapolis, and a single engine Piper Cherokee PA-28 during an approach to Indianapolis. The Piper was leased to a student pilot making a solo cross-country flight and the pilot was not in communication with air traffic control and did not have a transponder. The PA-28's left forward side, just forward of the left wing root, clipped the DC-9's upper right vertical tail just below the horizontal stabilizer. The probable cause was the deficiency in the the collision avoidance capability of the air traffic control system in a terminal area where there is mixture of IFR and VFR traffic. The FAA recognized the inherent limitations of the 'see and be seen' rule of air traffic separation in VFR conditions, especially when aircraft of different speeds or cloud layers and other restrictions to visibility are considered. Consequently the FAA, to increase radar visibility of lower and slower small aircraft, required that transponders be installed in general aviation aircraft and all commercial air carrier aircraft. Additionally, to operate with in a Terminal Controlled Airspace, all aircraft must be transponder equipped and in communication with ATC. September, 1969 - Two successful hijackings occurred in September: A Latino hijacks a DC-8 from New York, and a Cuban hijacks a DC-8 from Charleston, SC to Havana, Cuba. October 9, 1969 - A man successfully hijacks a DC-8 from Los Angeles to Havana, Cuba. October 27, 1969 - The FAA denied PATCO's request for formal recognition because of its participation in the recent "sickout". However, two days later, on October 29, President Nixon issued Executive Order 11491 as the basis for Federal employee-management relations. The order, effective January 1, 1970 gave the Labor Department authority to grant exclusive recognition to Federal Unions. December 26, 1969 - A man successfully hijacks a B-727 from New York to Havana Cuba.